ELIZABLAZE | Discover Purpose. Live on Purpose. 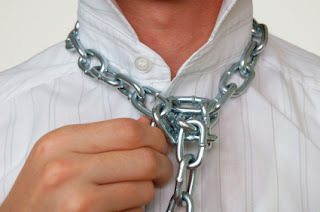 Live Creatively: The workplace slave. Last week I did a post titled craze for white collar job, cos it seems there is a war going on with what we call JOB among people that doesn't even need it. By the time you finish reading today's post you will know why I titled this post the workplace slave. During holidays I used to work in a family friend's company, and at a particular time a lady came to work as one of the production staffs, the qualification she tendered was her school leaving certificate. So she was more of a labour staff. Then one day while we were chatting she said she had gone to the university, done her NYSC, but decided to use her O'level certificate to get the job since that was the requirement. Hmm... That isn't a big deal you might think, I've also heard of people who does that to enter for a entry level position and later upgrade their qualification along the line... But her reason is different and anytime I remember it still marvels me. Her reason was that she already had a government job that pays her monthly but because of the nature of the job (seasonal) she does nothing, but the salaries still goes into her account. Therefore she decided to make herself useful by coming to work for a meager...need I say her State salary was more than what all the staffs including the production manger takes home? She gets about fifteen times what she is collecting as a production staff! Lets say she was there as a spy, we may conclude that she wanted to set up a similar business but she was there because she doesn't want to sit at home and she doesn't even like the way she was been treated as labour staff. What does she expect? Well... This is also one of the crazy things I've seen on this planet earth, I'm wondering if you have that opportunity can't you setup a business, go back to school and get a master or a professional qualification. C'mom just do something other than enslaving yourself. P.S: This post is not written to criticize or judge the lady. I believe no one is right or wrong, it all depends on our perspectives... And when you know better you do better. The work life is a place we have different kinds of people, her zeal to work is what most people have in recent times. Personally I must say that I love doing things that keep me on my feet, I must say she is wise for investing her time right.